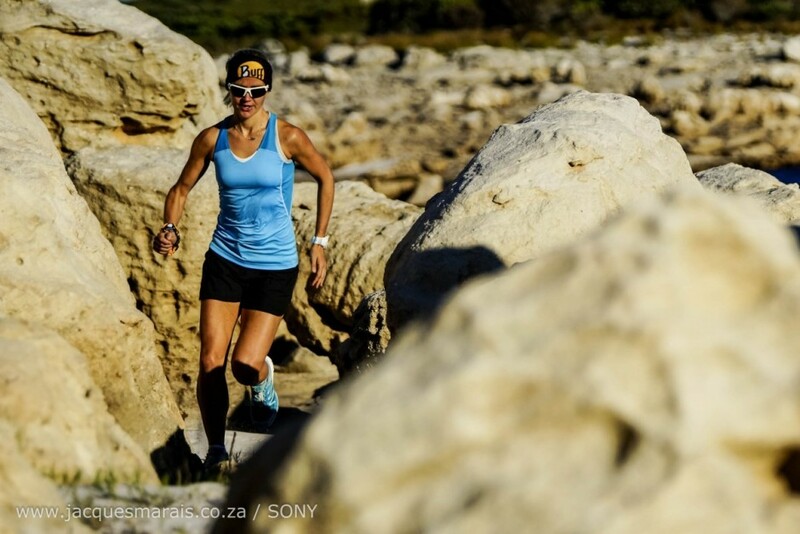 Landie Greyling is a trail running powerhouse. Having just won the Pronutro AfricanX, she adds to her already long list of achievements. 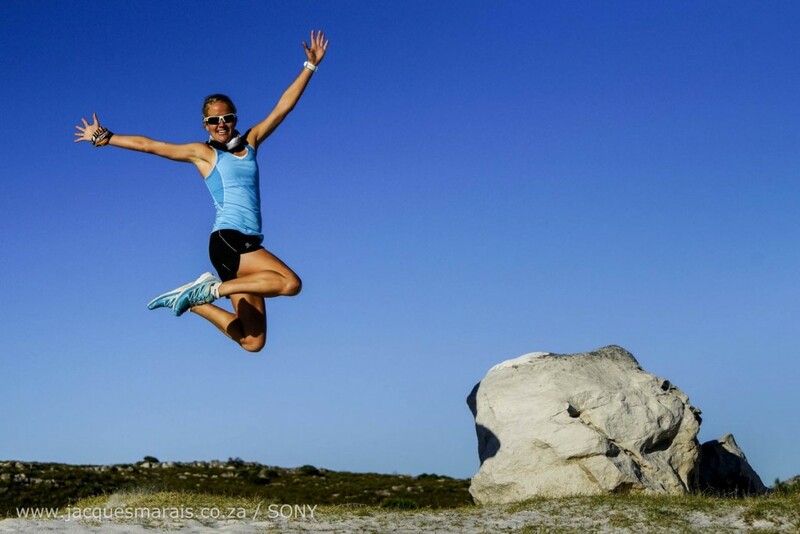 She has not only placed first at all of the following races, she has also set new records: Salomon Sky Run, Otter Trail, Dodo Trail Run and Two Oceans Trail. 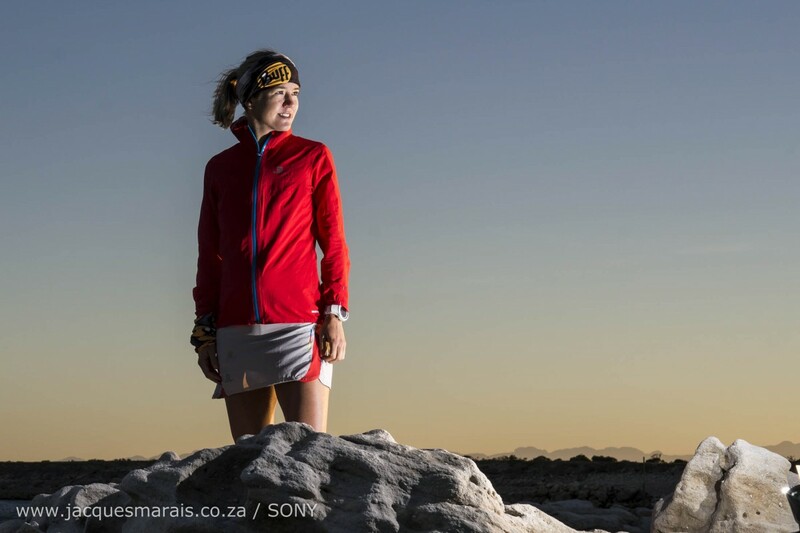 Landie also won the Matroosberg Ultra Distance Skymarathon in 2014 with an incredible time of 4 hours 40 minutes. As if that wasn’t enough she finished 12th at the Skyrunning World Champs. Outside of being an incredible athlete, Landie is widely known for her ever-friendly disposition. I reached out to Landie to ask her some questions on her training, highs and lows, and the future. 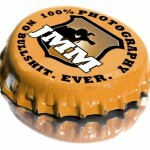 A big thanks to Jacques Marais and Buff for the amazing images used in this interview. You’ve just come from a massively successful race at African X, congratulations! How did you enjoy the race? Hmm this is in fact a hard one. Thinking back to the 3 days on the trails now, I have an immense sense of satisfaction and I absolutely enjoyed racing with Meg. However, the victory did not come easy, as I turned ill on Saturday, which meant Day 2 & 3 required severe mental strength just to finish the race, let alone win. Winning is obviously a sensational feeling, and hitting the tape on Day 3 was also a special memory. What training did you do for African X, anything specific or different from your normal training? 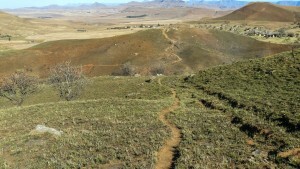 My training for African X took place in conjunction with prepping for a 75km race I am doing on 11 April in Australia. This race is part of the Skyrunning Continental Series and I was invited by Salomon International to take part. This necessarily lead to many long hours on the legs, specifically including blocks of 3 consecutive days of running to get my body used to running on tired legs. Injury and recovery are big topics for runners. Do you have any tips on preventing injury for trail runners? I go for regular massages, use my foam-roller, B4play ball on a regular basis. ActivePatch4U is great for keeping those niggles at bay. I also see a Chiropractor bi-monthly, take rest days once a week and try to fit in a weekly pilates/yoga class. Can you recall a particularly difficult moment during a race or training that you overcame? I remember quite a few intense memories during at this year’s African X. Particularly on Stage 2, gasping my way up the Ox-wagon tracks on the Gantou Pass, as it was here that we realized that our game plan of “Giving it all we got!” would have to change to “Keep calm, one step at a time, Survive!” I also remember finding myself in a particularly bad spot about 4km from the finish and I was forced to stop. Meg & I looked at each other, took hands and made it across the finish line to take our second stage win. What a significant moment! The deep digging, clinching of teeth and suffering was all worth it!! You’ve gone from strength to strength, where are you looking towards next, what are your goals for the future? This year I will be focusing amongst others on some of the Ultra distance International Skyrunning events (50-100km events). 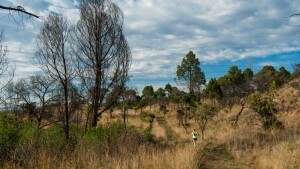 Next up is the Buffalo Stampede 75km in Australia on 11 April. Out of the hundreds of trails that you’ve done, which stand out for you? I would have to go for the Salomon Skyrun. Can you name a moment that you relish that has happened during training or a race? Zegama 2014.– The crowds (probably close to 10,000 people) on the way to the top of the mountain, cheering, smiling and their absolute passion gave me goose bumps all they way!! In addition to winning races, you also give workshops and talks. What can people expect when they attend? Where can we find out more? These workshops are generally aimed at people who just got into trail running or have been trail running for a while, but want to fine tune their game. 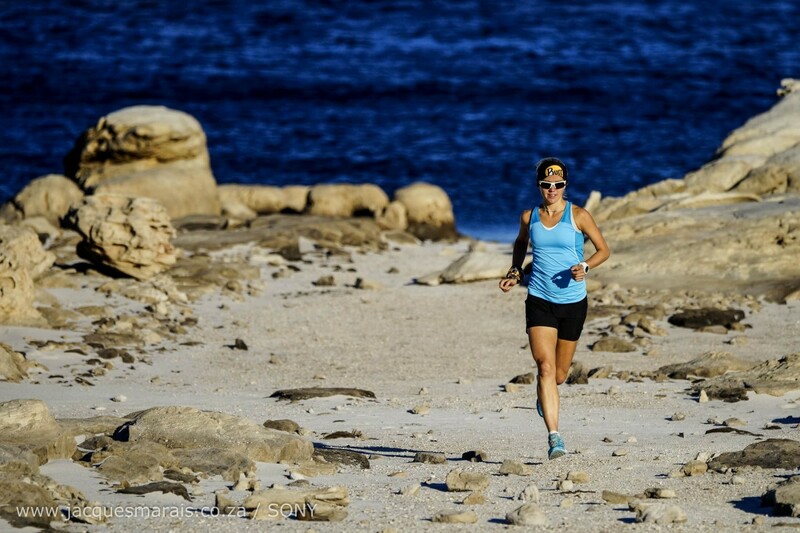 I talk about gear, nutrition, training, racing as well as motivation. The workshops are very interactive and people ask many questions. For the people looking to start trail running, what nugget of advice would you give them? As trail running requires a strong core, incorporate strength training into your training program. Also handy to have the right gear. Don’t be afraid to walk the uphills. 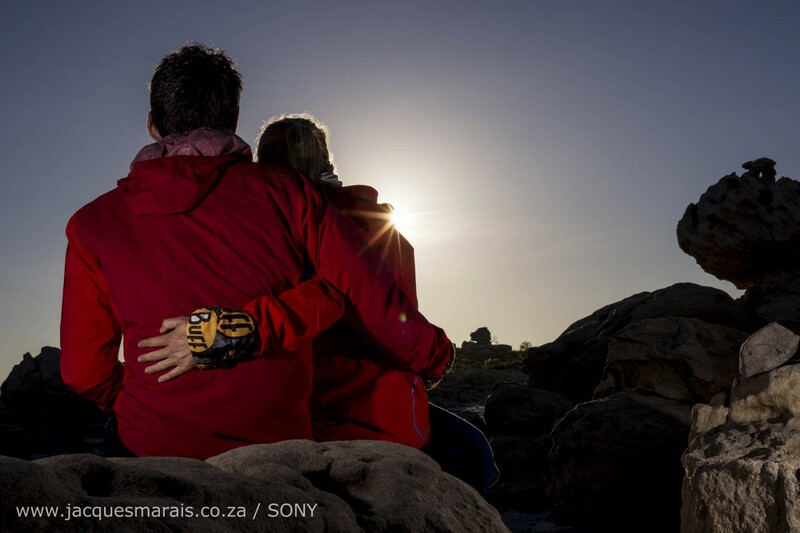 Explore new trails and enjoy every moment on the trails! You have some fantastic sponsors backing you. How have they helped you to achieve your goals? My sponsors include Salomon, PeptoSport/Pro, Buff, Suunto, Llamabar, Hazz, Futurelife, Cebe, Runstrong, ActivePatch4U, Jacques Breitenbach & Extreme Lights. There is absolutely no way that I would be able to chase my dreams without them. A massive thanks to Landie for the great interview! Make sure to keep up to date with her news at her awesome website. 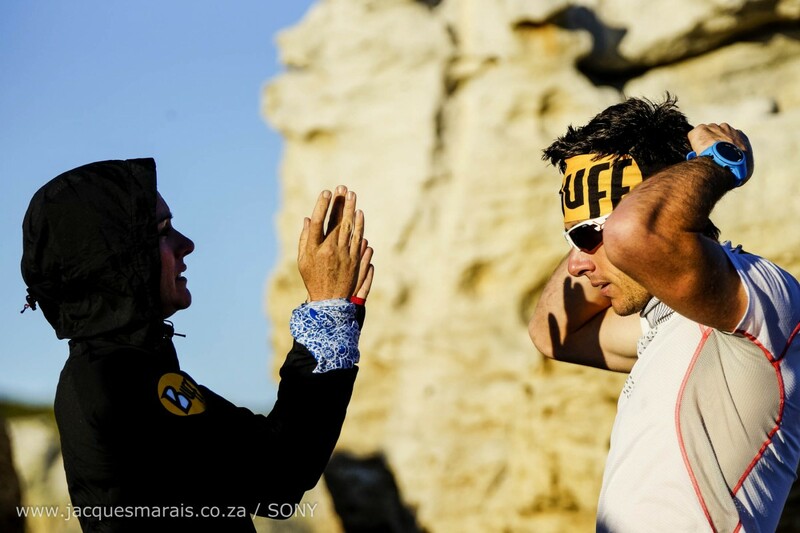 Thanks again to Jacques Marais and Buff for the fantastic images. As I become a more advanced runner, the distances and number of long runs keep increasing. 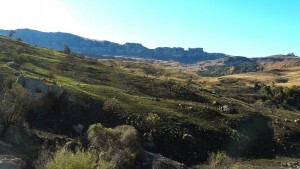 This means I get to see more places, and more nature :) This past Satuday I was looking for a good 30km route to do. I came across the Hedianga trail in Pretoria East. I grabbed a friend and we decided to do the 15km loop twice.